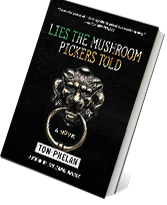 Tom Phelan was born and reared on a small farm in Mountmellick, Co. Laois, Ireland. 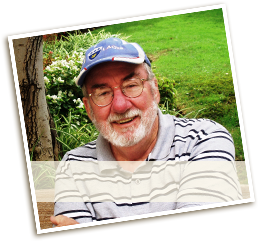 Tom had just turned fifty when his first novel, In the Season of the Daisies, was accepted for publication by the Lilliput Press in Dublin. 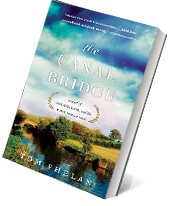 Books Ireland's reviewer later wrote, "The most obvious question posed by a novelistic debut with as much resounding vigour as this is: Where has Mr. Phelan been?" 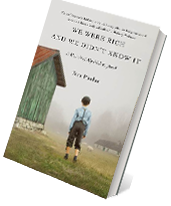 Since then, Tom has penned a memoir, We Were Rich and We Didn’t Know It: A Memoir of My Irish Boyhood, and five other novels: Nailer, The Canal Bridge, Iscariot, Derrycloney, and Lies the Mushroom Pickers Told. Copyright ©2019 Glanvil Enterprises, Ltd.
or electronic medium without prior consent of Glanvil Enterprises, Ltd.